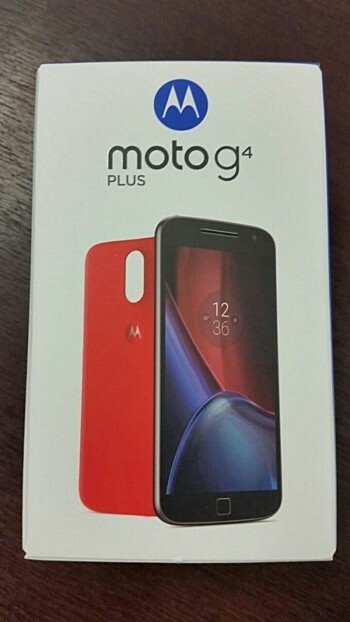 While the Moto G4 Plus launch is still a few hours from now, we’ve been fed with a lot of leaks. 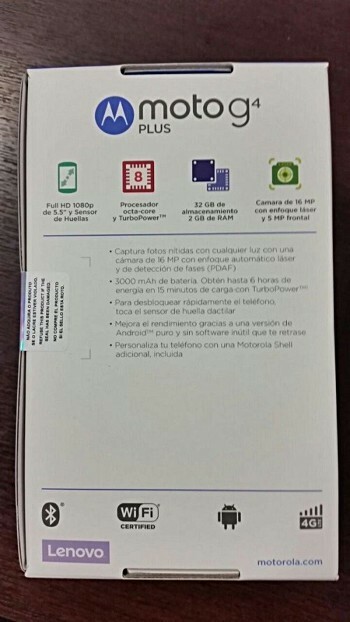 The latest is a picture of the retail box which has the specs of the phone printed on it. The Moto G4 Plus sports a 5.5’’ FHD screen, has an 8-core processor, a fingerprint scanner on the front, 2GB of RAM, 32GB of ROM, 16MP rear camera with PDAF, a 5MP front shooter, and a 3000mAh battery with Motorola’s proprietary turbo charging. The phone will launch with Android Marshmallow and has 4G LTE support. The only problem I have here is the RAM. 3GB of RAM would have been better, since the Moto X 2016 is said to come with 4GB of RAM. That way consumers can choose which of the new phones they want; the original G4 sporting 2GB RAM, the Plus with 3GB RAM, or the X with 4GB RAM. From the design, it looks like the rear cover is going to be removable but not the battery. This is the same style on the first generation Moto G; this will let users purchase swappable covers to give their phone a new look. I particularly enjoyed doing that with my first gen Moto G back then. Pricing will be announced later after the official launch today.